I love the flavour that comes out of the vegetables right out of the garden – give them a grill before simmering this pasta sauce and you will be treated to that flavour all winter long. Grill all vegetables until you get nice grill marks and the garlic and onions are soft, lightly browned. As soon as the sweet peppers are charred, put them in a ziplock bag or a tightly covered bowl and allow to steam for 15 minutes – remove the skin and seeds. Put all tomatoes with the vegetables in a large pot and simmer until tender. Bring to a boil, then allow to simmer just until all flavours have had a chance to blend well. Make sure to taste it and adjust seasonings if you need a little more. Either freeze in freezer safe containers, or process in hot water bath. 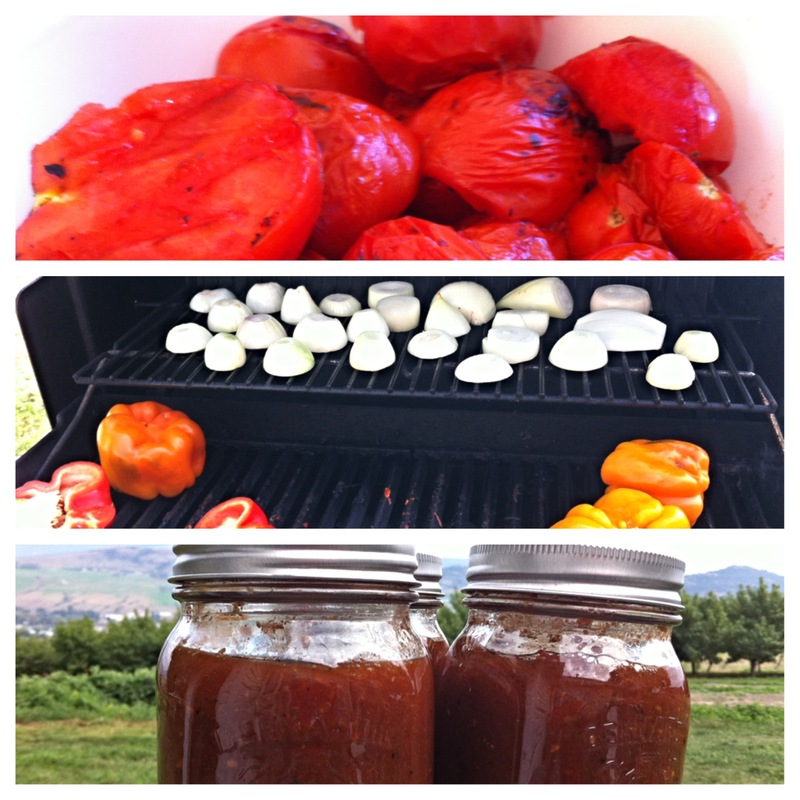 To preserve in hot water, canning bath – fill jars to within 1 inch, cover with hot seals and rings. Process in hot water bath 35 minutes for pints. This recipe makes about 7 pints.